I can still remember the first time I came across ground bees. Years ago, while I was hanging out the washing in our backyard, I noticed all these bees flying down and entering a gap between some rocks. It was obvious they were going into the soil beyond. That’s when I had to learn more! While most people have no idea that ground bees even exist, I can assure you that they most surely do! 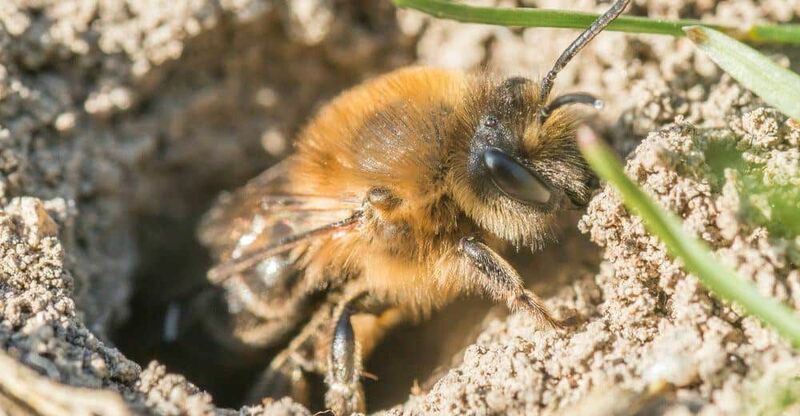 There are many different types of ground bees, and yes, they burrow themselves under the dirt and make their nest underground. One of the most interesting things about ground bees is how many there are! So many people have these bees in their yard, without ever knowing it. nuisance, or are in the way, you should not be concerned about them taking up residence in your yard. You don’t want to mow over a ground bee nest! 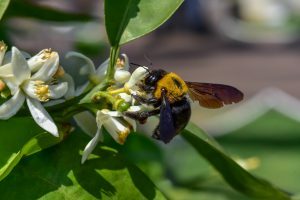 Ground bees can find or create an opening underground between rocks, wood, or other garden features. That was the case with the nest in my backyard. In that instance, there was nothing to identify the nest other than the bees going in and out of it. In other cases, the bees will burrow down into the ground through bare patches in the lawn. You may notice a small pile of dirt up to 2 inches high, where the bees have dug out tunnels underground. Other times, any sign of a mound may have disappeared. The may only be a small hole to give away an exit or entrance to a ground bee nest. The dead giveaway to a ground bee nest is, of course, to see the bees coming and going. Do ground bees make honey? 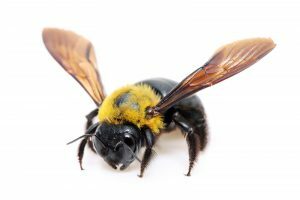 Most ground bees tend to be very gentle and non-aggressive, but they do sting. If they believe their life or nest is threatened, they will defend it with their stingers! If you were to accidentally dig into a nest, the bees would, in all likelihood, attempt to sting you. However, it’s good to simply be aware that some bees live underground. That way you won’t be surprised if something like that happens! The other common way a ground bee nest is accidentally disturbed is when mowing the lawn. The nests are easily missed and run over with the mower. This will bring the bees out. Did you know that many bumble bee nests are underground? How do I get rid of ground bees? 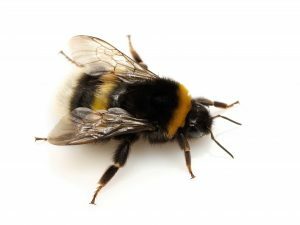 Ground bees are usually very easy to move on, without the use of poisons, sprays, and other lethal methods. You should be able to put the garden hose down into the nest to flood it. The nests have multiple exits/entrances, and they will quickly move to another location. Hopefully not in your section! 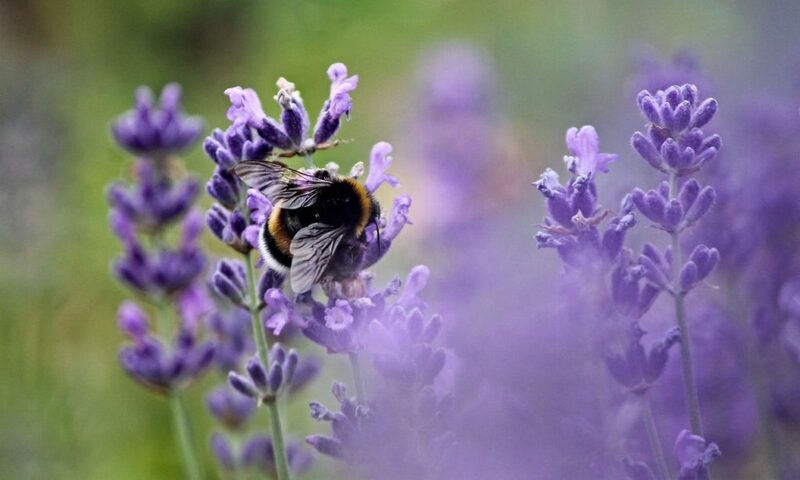 In spring time you may begin to notice that there are far more bees coming up from the ground. That’s because these bees hatch from the ground in the spring. The queen bee will make several tunnels once inside the underground nest. She will create all sorts of entries and exits in order to be ready to evacuate . The queen will also create several horizontal tunnels and chambers. She will then lay one single egg at the end of each. Please let us know in the comment section below if there is anything else you would like to know about ground bees. Or, if you have anything to add or build upon, we’d love to hear it.